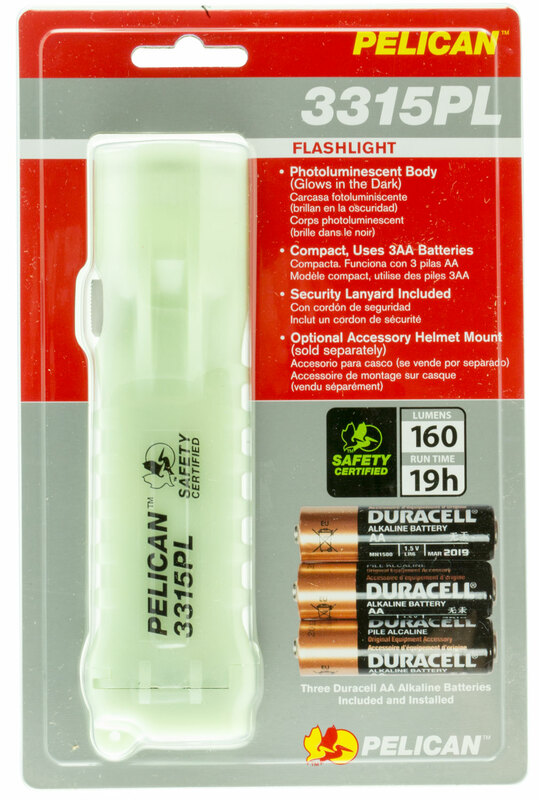 Pelican's 3315PL LED flashlight features a lightweight compact design that houses 3AA batteries that power a single LED for 160 lumens of super bright LED light. Safety approved for the most volatile work environments, the 3315PL LED flashlight is one of the most efficient flashlights on the market today. It is molded with Glow in the Dark photoluminescent material, which can be seen in the darkest environments.NOTE: 3 AA batteries are included.